Catapulting Android as we know it to the mainstream, we’re amazed to think that the original Motorola DROID launched into stardom only a mere 2 years ago. Since that time, we’ve seen two successors that maintained its landscape QWERTY form factor, but as a whole, they didn’t have the same impact found with the original starter. One of the biggest complaints about the Motorola DROID 3, which was launched a little more than 7 months ago, was the fact that it lacked 4G LTE connectivity and simply relied on last-generation 3G speeds – so yeah, it was a bummer in that aspect indeed. Taking care of business, the Motorola DROID 4 rightfully eases the concern from last time, while employing some of the necessary iterative improvements on the hardware side to keep it in good light with the company. Some have argued that the DROID line has been on a steady decline in terms of allure and reputation, especially when the DROID 2 and 3 didn’t quite have the same profound impact like the original, but as always, we’re hopeful that the latest member of the family will bring back the spotlight to it. For starters, its $199.99 on-contract pricing surely looks mightily delicious, but it’s undoubtedly going to take more to become humbly memorable. Bearing the same tried and true landscape QWERTY form factor as its predecessors, this new model obviously features a tweaked design – though, as a whole, it’s doesn’t come off as captivating. 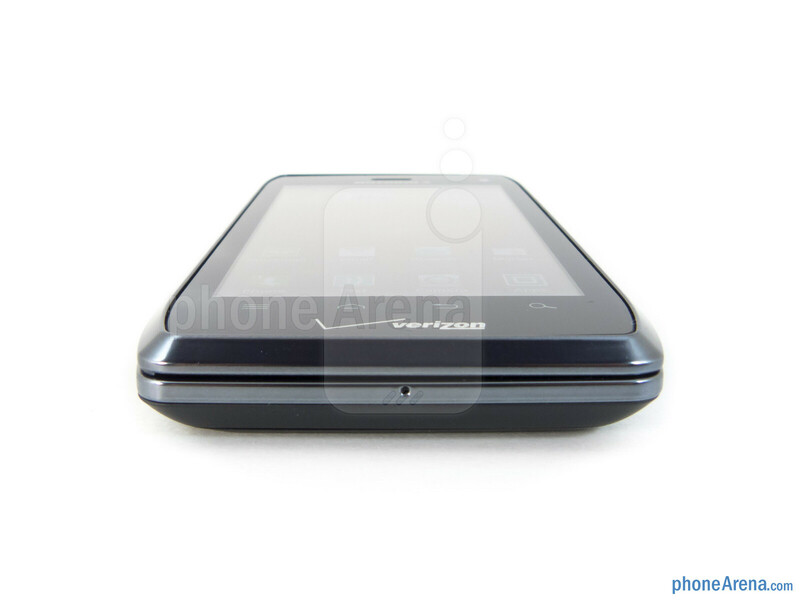 Actually, it utilizes the same design characteristics used on recent Motorola devices, like the PHOTON 4G and DROID RAZR, with its subtle tapered edges and sturdy construction. At the same time, it features water-repellant technology that allows it to withstand a few splashes of water, but it’s not entirely waterproof. 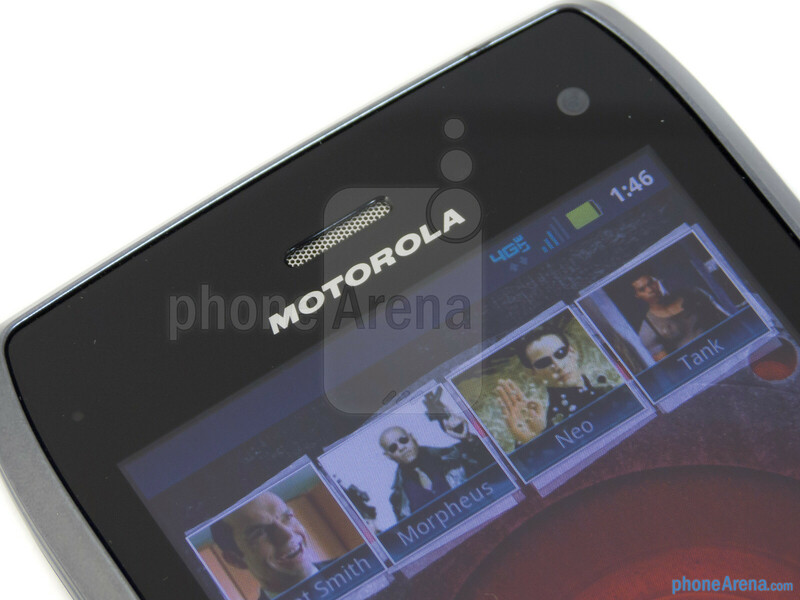 You can compare the Motorola DROID 4 with many other phones using our Size Visualization Tool. Interestingly enough, this is the largest one in the DROID family thus far, but thankfully it retains its streamlined 0.5” profile, which is great considering it’s packing a physical keyboard. Finally, its accompanying weighty (6.31 oz/179 gr) feel provides us with a sense of durability with its overall construction. Improvements and tweaks aside though, its design is hardly one that’s going to be remembered or laureled throughout time, and in all honesty, we were hoping for something more refreshing to jump out at us. 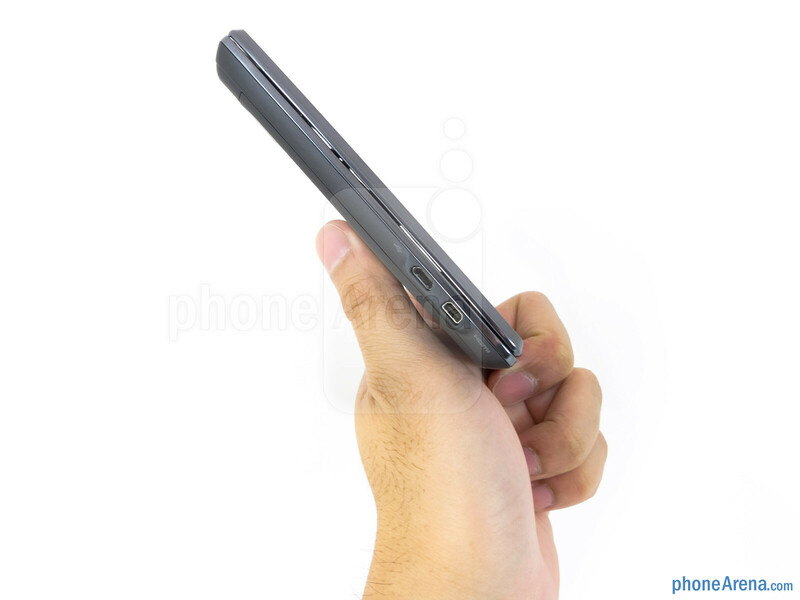 Accidental presses aren’t an issue with the Motorola DROID 4’s capacitive Android buttons, mainly because they’re positioned far away from the bottom edge. 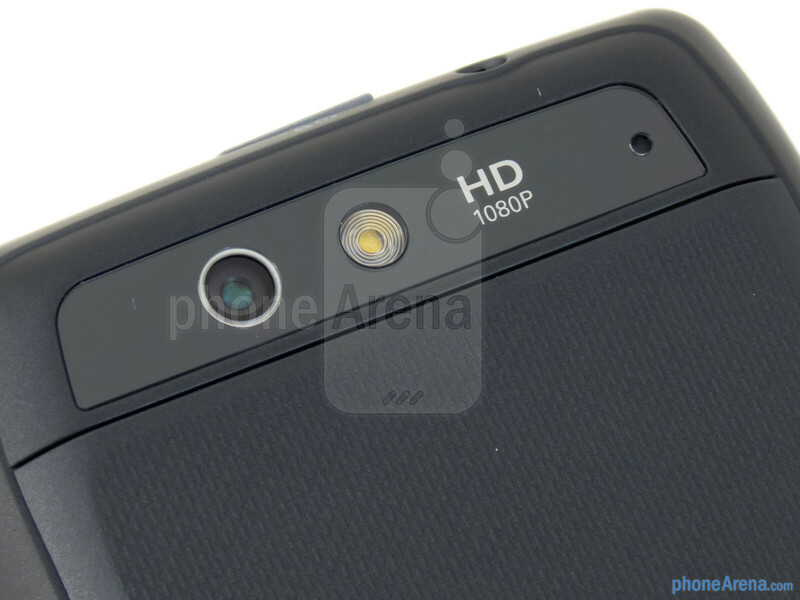 Above the display towards the upper right corner, its front-facing 1.3-megapixel camera actually has the ability to shoot 720p videos. Unfortunately we’re not fans of its dedicated power button and volume controls, since they’re rather flat to the touch and have a soft response when pressed. 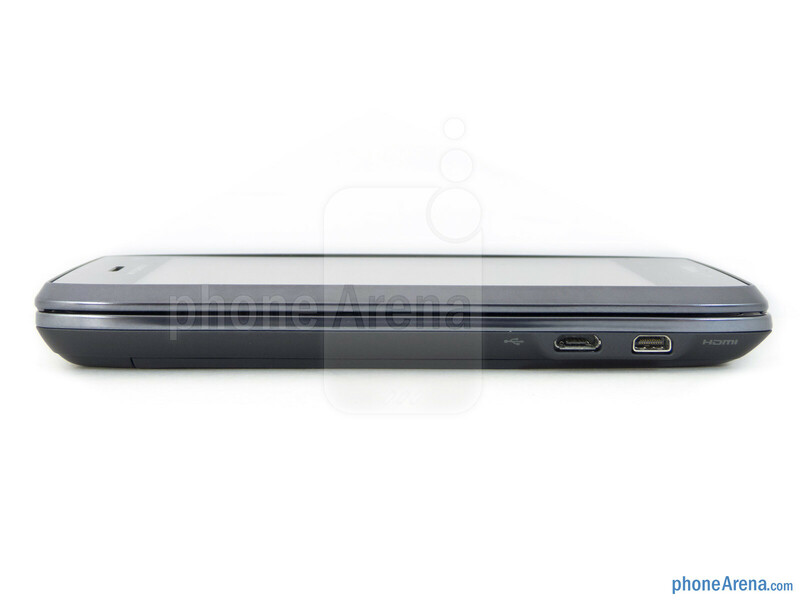 Knowing that this is a Webtop enabled device as well, its microUSB and microHDMI ports are found next to one another on its left edge – thus, allowing many of the existing Webtop accessories to work with it. Towards the top edge in the rear, there’s an 8-megapixel auto-focus camera with its accompanying LED flash nearby, while its speaker grill is located on the lower left corner. 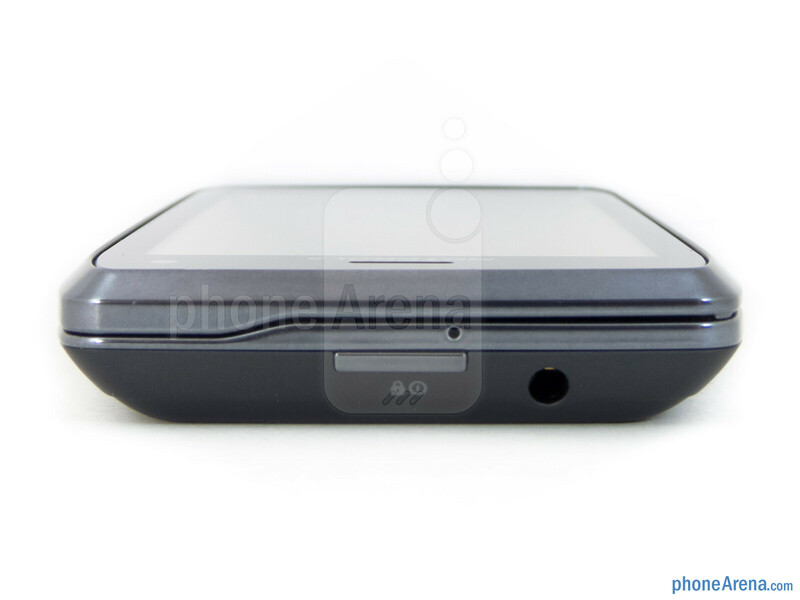 At first, the pinhole next to the camera seems to be a directional microphone, but in actuality, it’s used to remove the back cover with the aid of the included removal tool to gain access to its microSIM and microSD slots. 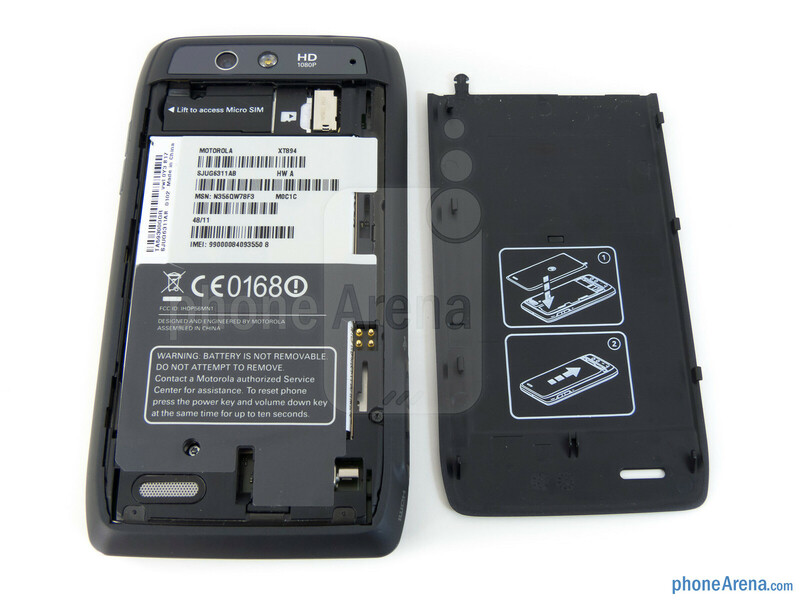 Strange to say the least, the 1,785 mAh battery is actually non-removable and is hidden from view by a sticker that explicitly states the warning to not attempt removing it. 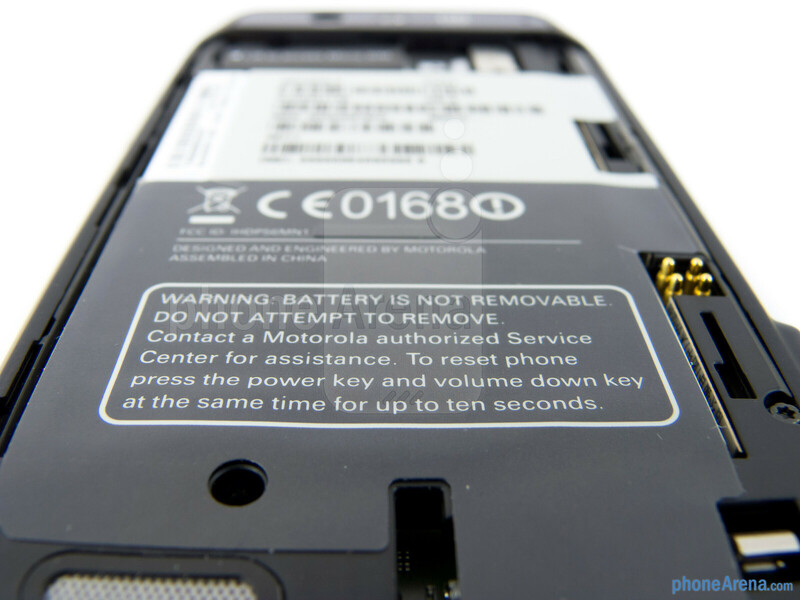 Maybe it’s poor engineering on Moto’s part, but it boggles us that they would allow access to the battery, but not give us the option to remove it ourselves. Heck, they could’ve shut the entire thing closed a la the DROID RAZR and place its slots elsewhere. 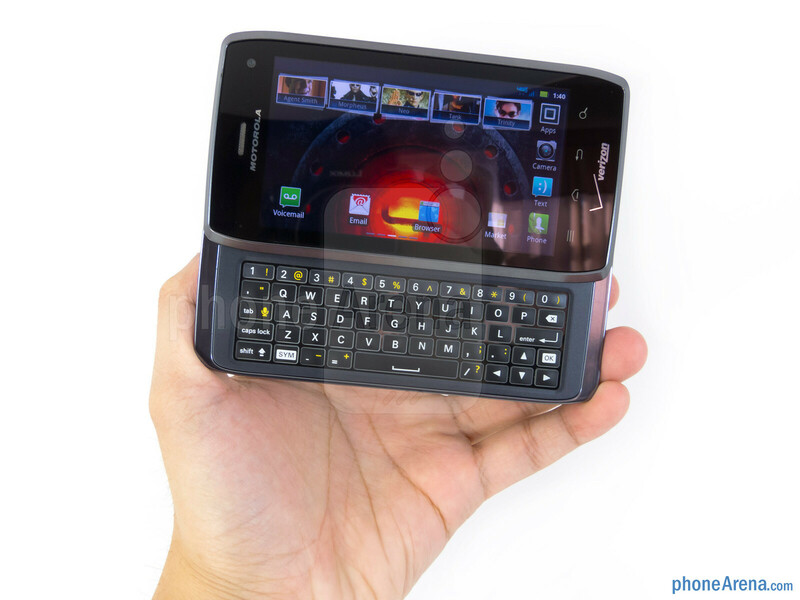 We’re undeniably taken by surprise to see Motorola managing to somehow improve upon the fantastic keyboard of the DROID 3 from last year. 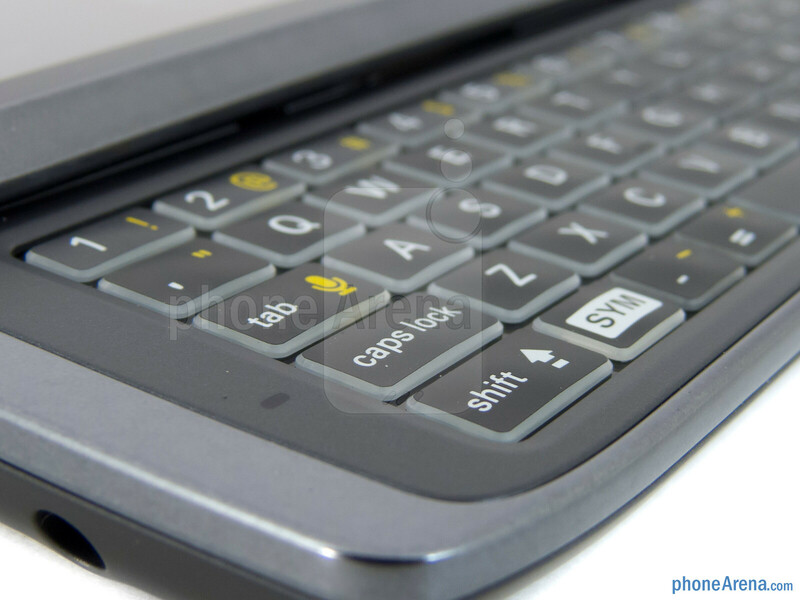 Getting down right to it, we have to admit that we’re smitten by its functionality, ease of use, and spacious nature to make it probably the best QWERTY-based smartphone on the market. Retaining the same layout as before, with its dedicated row for numbers and navigational keys, it’s tweaked ever so slightly by its domed buttons and exceptional LED backlighting – in fact, we’re mesmerized by its glow in the dark! Furthermore, we’re treated to the same solid feeling tactile response as before, thus, all culminating together to offer the best messaging experience on any device out there right now. Call it a bummer or whatever, but we’re saddened to find this DROID outfitted with such an inferior display. 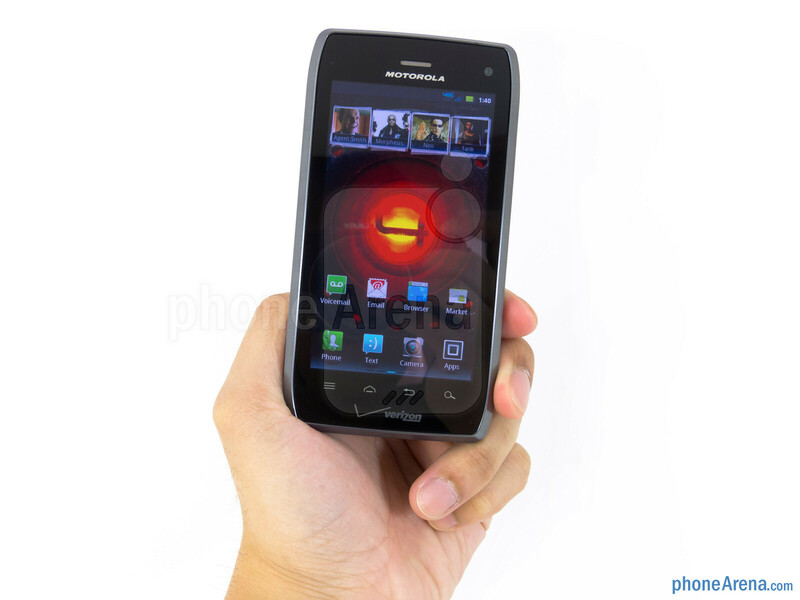 Unlike the iridescence accompanying the DROID RAZR’s Super AMOLED Advanced display, the DROID 4 is instead boasting a 4” qHD (540 x 960) TFT LCD display that’s tremendously dulled by its washed out appearance, low-contrast, and poor viewing angles. 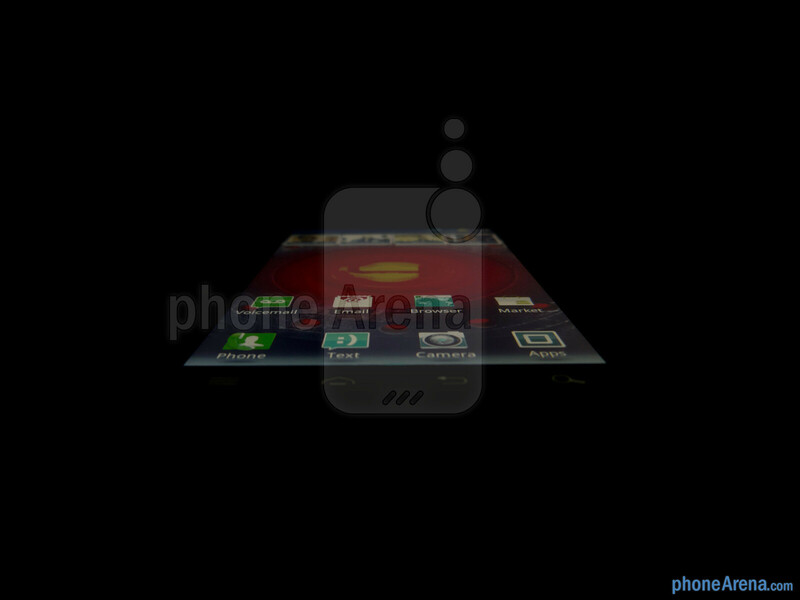 Additionally, it has this ghosting effect going on that seems to blur icons when navigating across its homescreen. Well, at least its resolution is enough to enjoy wholeheartedly thanks to its pixel density of 275 ppi, which produces sharp visuals that’s easy on the eyes. However, we’re unable to overlook the distracting overall appearance of the display, and simply, there’s no love whatsoever for this DROID. I think the 2 greatest failures of the D4 are the limited battery capacity and the junk (LCD - come on, WTF) display. Camera could be better too. Maybe the D5 fixes these fails. 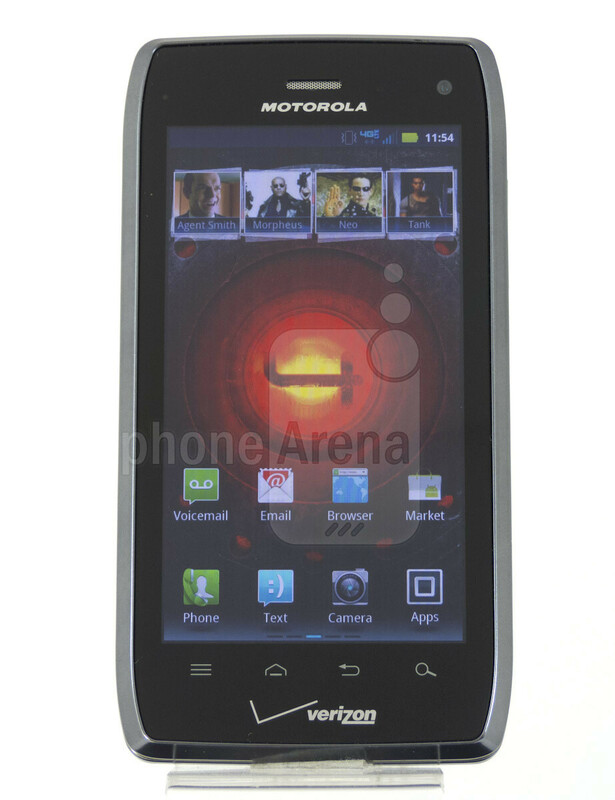 Moto's best screens were the OG Droid and DX. 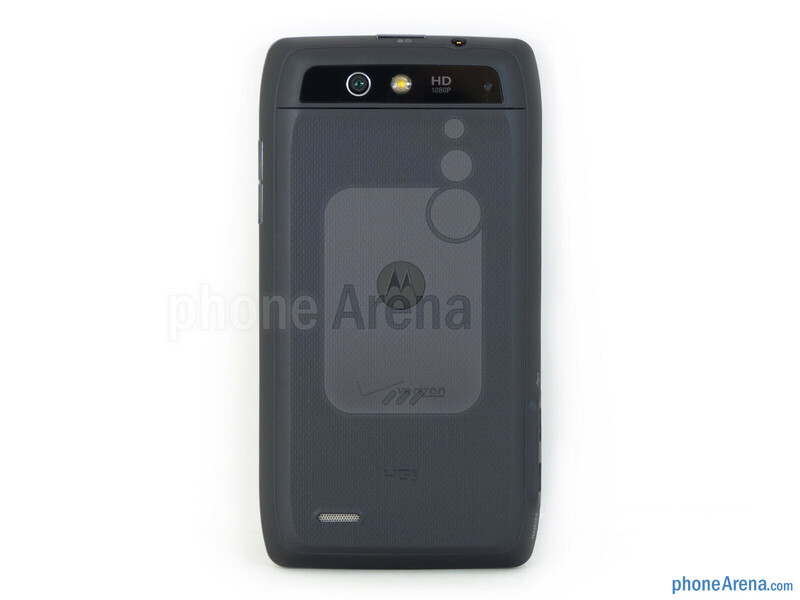 Its interesting that Motorola hit a peak with their original Razr and stopped innovating. 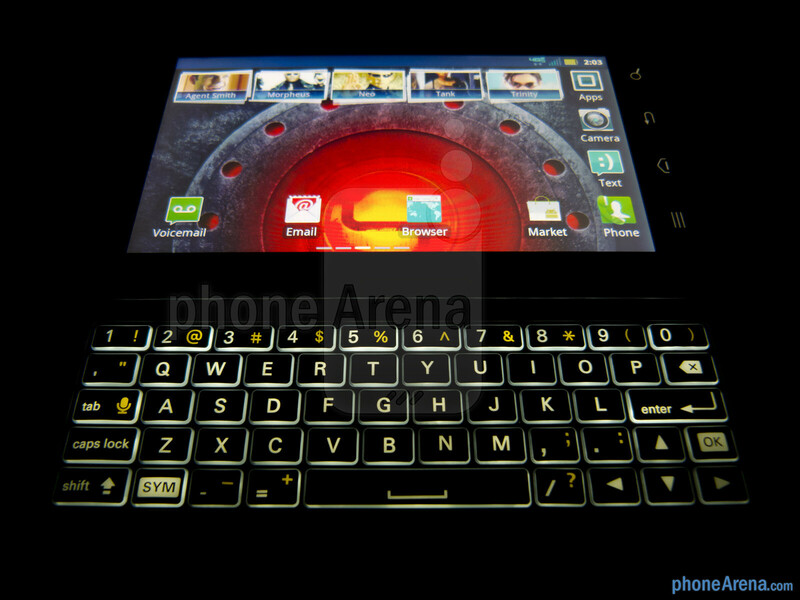 Now their Razr/Maxx/D4 marks another halt in innovation. Bigger and heavier does not make a better phone. 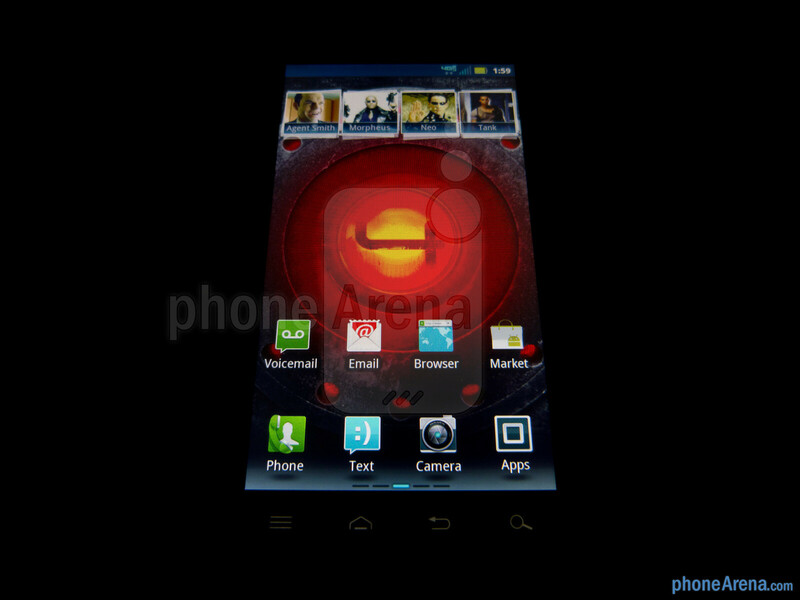 You realise that android wouldnt be what it is today without the Droid line right? So before you say something stupid like you just did know what you're talking about first idiot!! Insignificant devices? Like the above poster stated, the OG Droid startered it all. Sure the display may or may not be bad. But it's an above average device with a QWERTY KYBD and LTE. Something a lot of physical kybd users (myself included) had been waiting for. This incarnation of the device is hardly improved. I'm just having a little fun on a Friday with my first post, didn't realize it'd be taken so personally. Sure, the original was great. So was the first flip phone, carphone, bagphone, telegraph... Now it's just milking the franchise every few quarters and the sales are diminishing every time a new version hits. 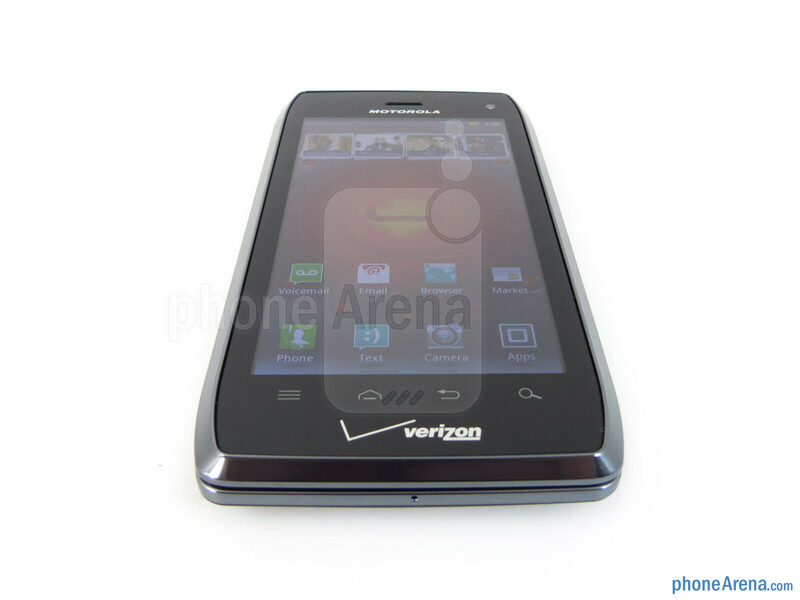 You can't honestly say this newest generation phone is still a significant device in the oversaturated VZ market. I'd think VZ would agree by way of thier instant price drop. Okay, not a worthy successor. 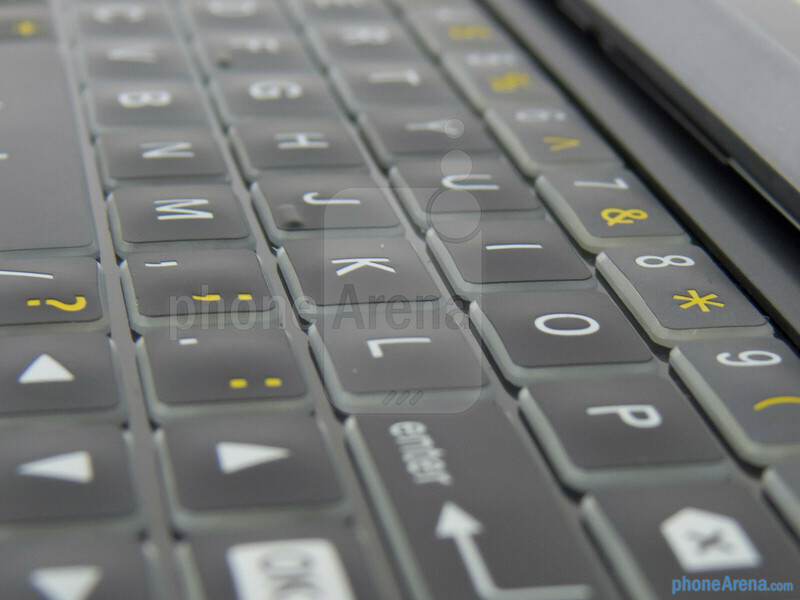 But, if taken on it's own, the D4 is a still a better QWERTY device than anything else out there right now. Certainly a better option than Blackberries, way more powerful with a top notch keyboard than any other phone on Big Red, and what are you going to do: drop down to the Captivate Slide on AT&T and it's slower network? 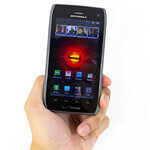 I am very, very disappointed that Moto did not view the Droid line as an elite device. It deserves better. 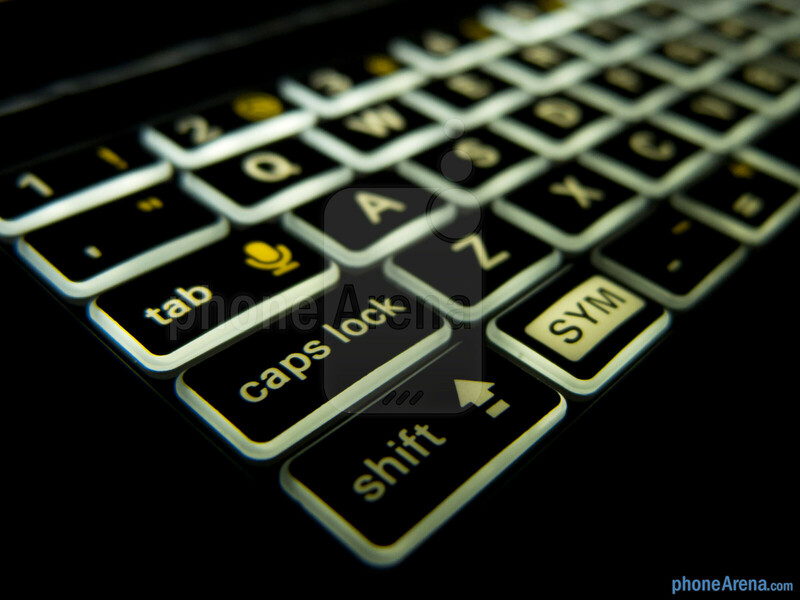 But, if you want a real keyboard, there still is no better option. Kind of how I felt when HTC relased the HTC EVO Shift (which btw does not have a decent keyboard imo) which was kind of disappointing. Wish they viewed the EVO line as an elite device as well. 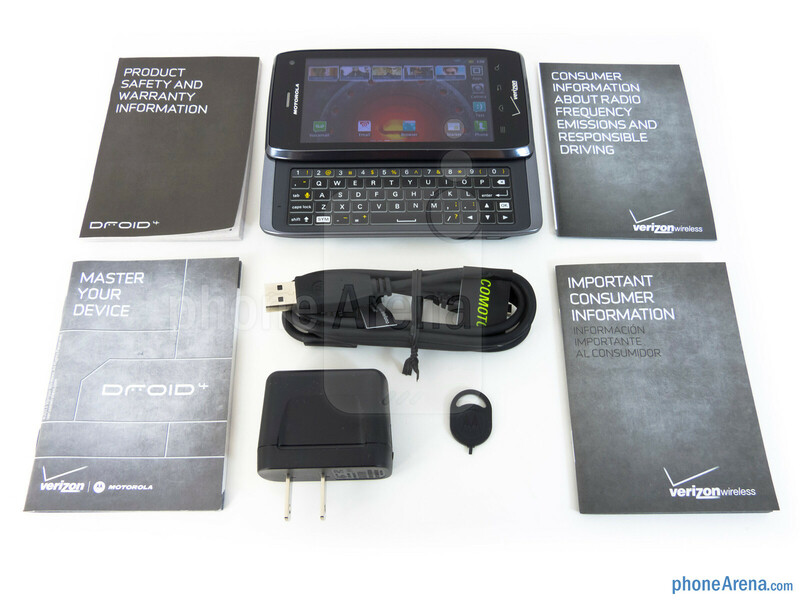 I might even go as far as to say to buy the droid 3 over this unless you must have LTE. Really? 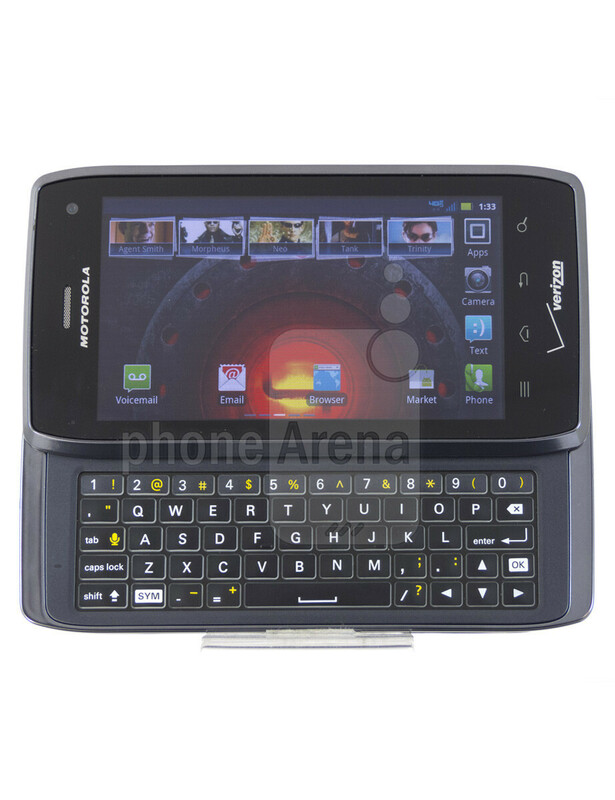 Let's Droid 3 1Ghz, 512 mb vs 1.2, 1GB, a backlit keys and better overall kybd. and LTE. Yeah, those numbers make we want to get the 3 instead. Having used the D3 the keyboard is also really good and you wont notice any difference between the two devices as far as performance. I cant get over how poor the screen quality is on this one. 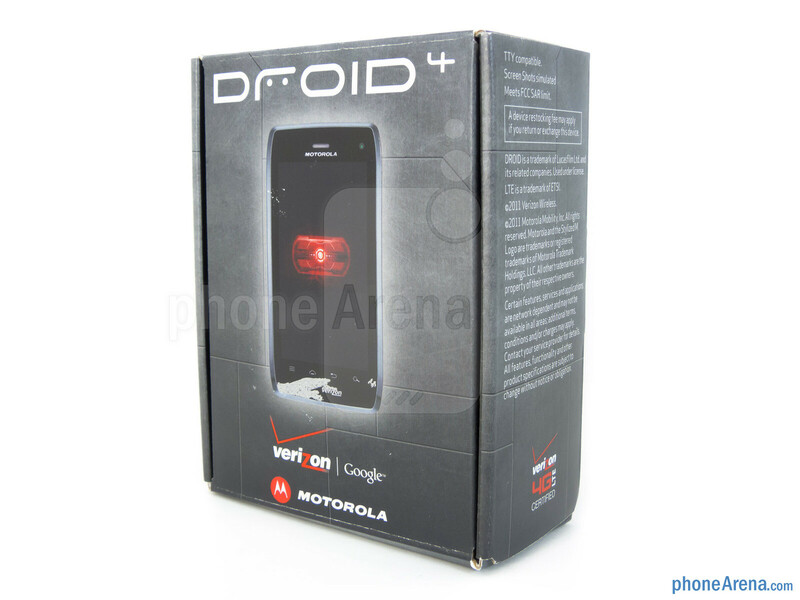 the Droid 4 is actually going to be a good bit faster than the Droid 3 if the difference between the Droid Bionic and the Droid Razr is any indication. i think it has to do with tweaking Motorola may have done with the drivers for the OMAP4 in 2.3.5+ as even the benchmarks behave differently. Glad I pulled the trigger on a D3 back in December. Well, at least it's a lot better than the DROID 3. Which isn't saying much. ZING! 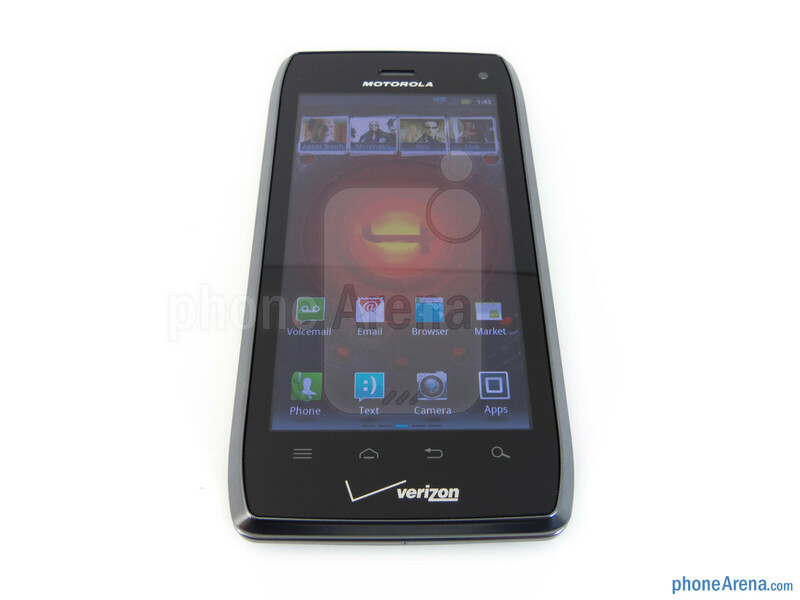 Is the screen worse than the Droid 3? Everyone on here complained about the Droid 3's display even though I didn't have a problem with it. Just trying to figure out if the complaints have merit. 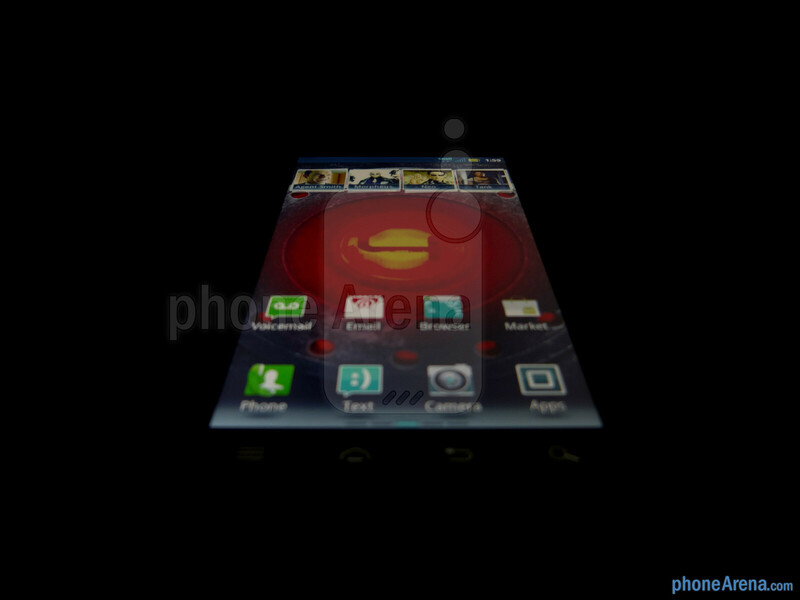 I didn't think the Droid 3's display was all that bad. It just seems everyone wants super amoled or they aren't happy with the phone. I checked one out today and it doesn't feel as bad as you guys make it sound. 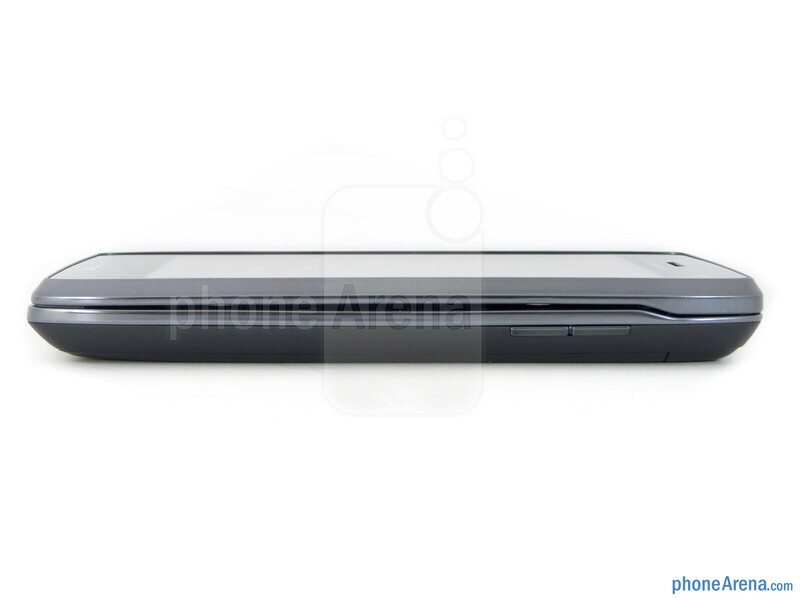 it's about like the Droid 3 with a textured back. I am however disappointed about the lack of a removable battery. 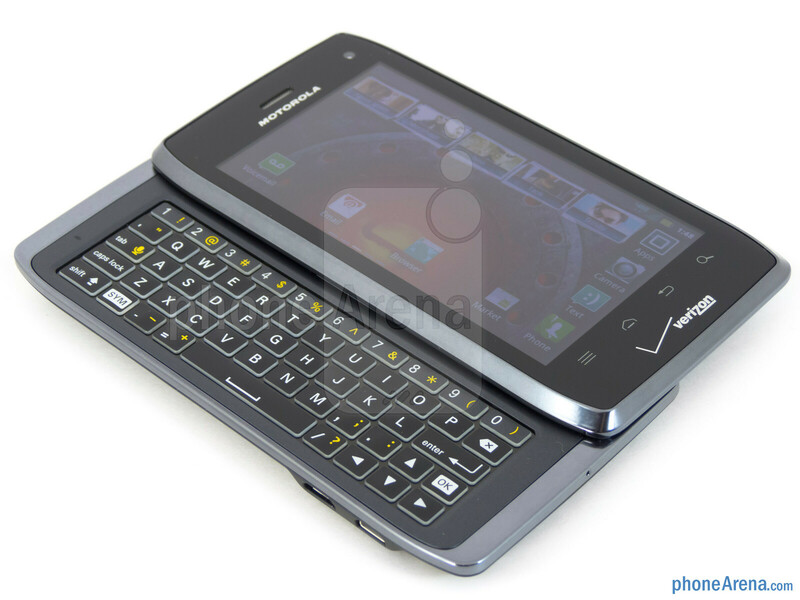 now really the only trade offs for the Droid 4 over the Razr are it's fantastic Keyboard and it's compact size along with a higher pixel density display.